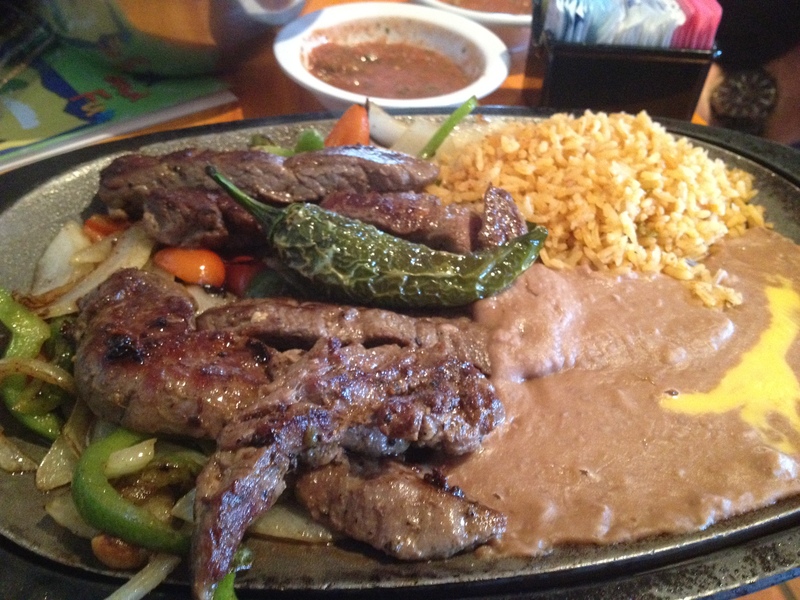 Today’s fajita lunch was brought to me by Mattitos restaurant. This was my first time to eat at a Mattitos and I really enjoyed it. As usual, I got beef fajitas. I think I could eat fajitas almost every day. I’d have to alternate with nachos though. When my friend ordered the Bob Armstrong dip, I realized that Mattitos must be a part of the Matt’s El Rancho family. I didn’t eat the Bob Armstrong dip this time, but I used to go to Matt’s just for the amazing dip. Legend has it that the former Land Commissioner asked for something off the menu and the chef came up with this delicious slice of cheesy heaven. The fajitas were excellent. I think I actually liked the fajitas at Mattitos better then the fajitas at Matt’s. I also had a really good time being there with some of my favorite people!